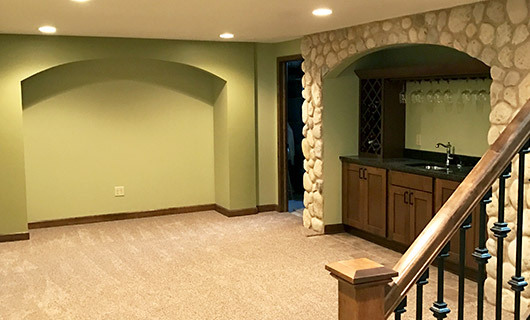 While our client already had a finished basement, they still weren’t utilizing the space as much as they wanted – there was something missing. 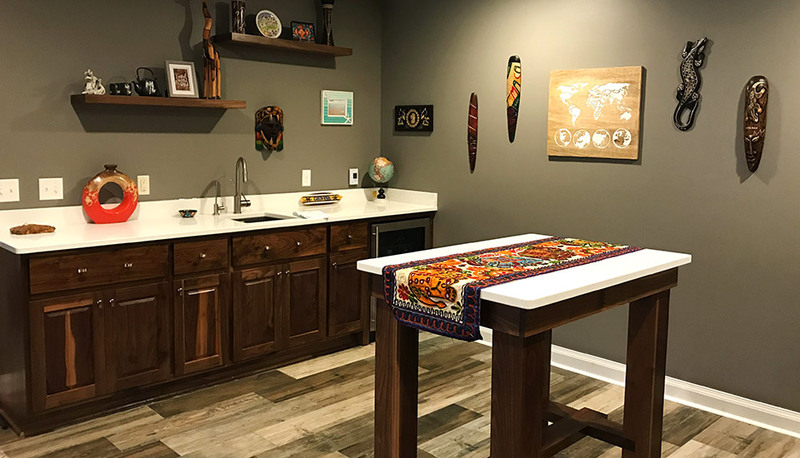 After discussing the project and working with our interior designer, we decided to update their basement with a new entertaining area complete with a full wet bar and island perfect for cocktail time! 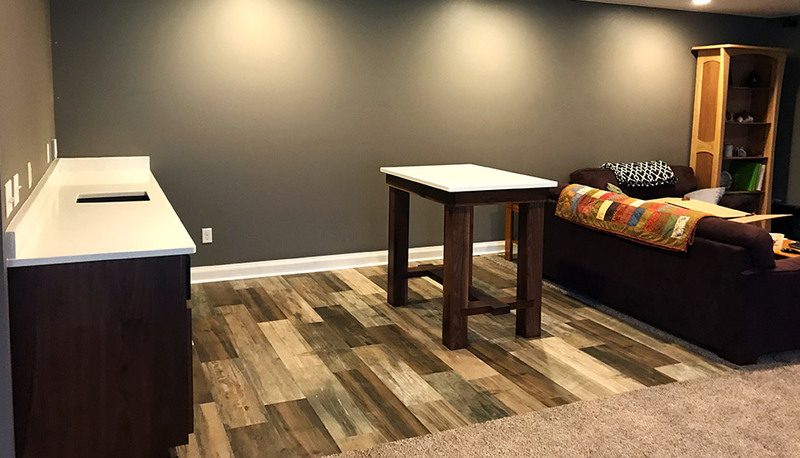 To truly customize the space, we removed a section of carpet and installed beautiful and modern barn board tiles. 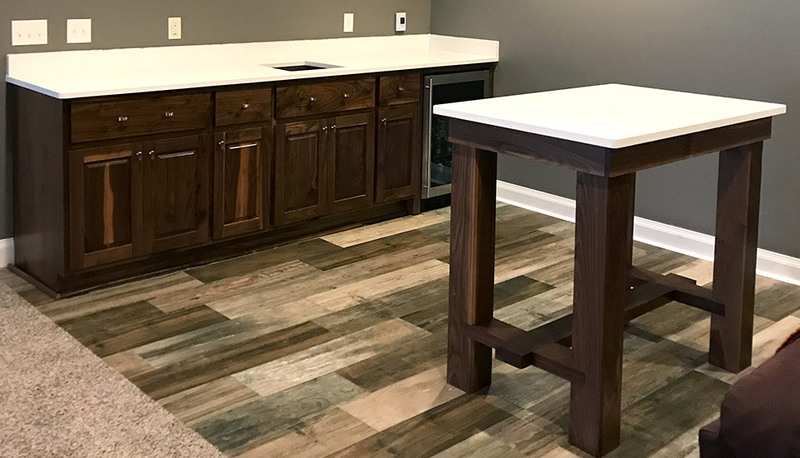 But we didn’t stop there – we added in-floor electric heat to combat cold Wisconsin winters, added luxury Quartz countertops to the bar and island, and built custom cabinetry for the wet bar. 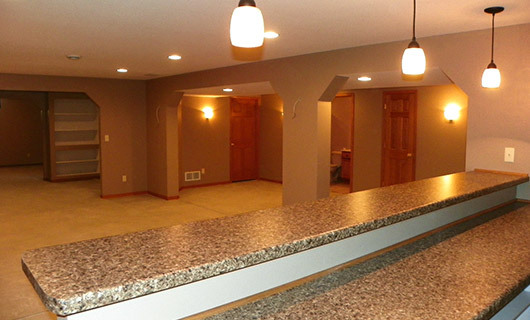 Needless to say, this basement has become one of the most popular areas to entertain in the whole house!